Brise glace Russes. 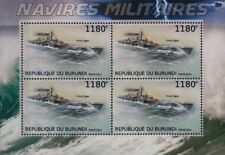 Série de 4 timbres Russes de 2009. R.M.S. Titanic. 2012 MNH GHANA. 100 Year Anniversary. SHEET OF 4. Spoons Recovered. Issued by Palau in 2004. Issued by Ivory Coast in 2018. WWII Submarine Stamp. Issued by São Tomé and Príncipe in 2008. Aircraft Carrier Stamp. Issued by Paraguay in 1983. Issued by Ghana in 1998. TURKS & CAICOS. Alvin explores "unsinkable"Titanic. SOUVENIR SHEET. We are real easy to work with. which struck an iceberg on maiden voyage, 1912. 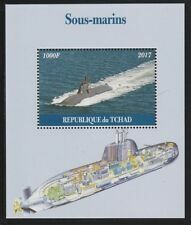 Submarine Stamp. Issued by Guinea in 2015. Mint Stamp as per Title and Scan. 1995 WWII 50th Anniversary Stamp. Proudly showing the RMS Titanic. 1998 MNH GAMBIA. SOUVENIR SHEET. We are real easy to work with. Touted as unsinkable, the Titanic's. 1998 MNH GAMBIA. SOUVENIR SHEET. completed after the luxury ocean. liner collided with an iceberg in the. We are real easy to work with. 1998 MNH GAMBIA. SOUVENIR SHEET. Almost a century after the sinking of the. We are real easy to work with. the fascination of hundreds of millions. of people around the world. Issued by Antigua & Barbuda on June 20th, 1989. 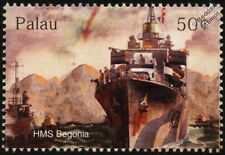 Issued by Gibraltar in 2008. 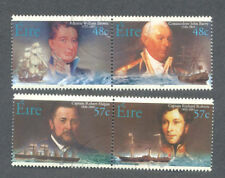 Mint, never hinged 100th anniversary of the Titanic disaster stamp sheetlet. From Republique Centrafricaine, 2012. Mint, never hinged stamp sheetlet. Repoblikan'i Madagasikara, 1999. WWII U-Boat Stamp Sheet. Issued By St Thomas & Prince Islands in 2008. TORPILLEUR D'ESCADRE / BATEAU DE GUERRE. GUERRE MILITAIRE. (Sheetlet with 4 values (4v M/S): F500 x 4. 3) Select each item and 'Add to Basket'. France 1025-1027,MNH.Michel 1386,1388,1408. Ramparts-Vannes;Dunkirk;Le Touguet. 1992 WWII in the Pacific Stamp. TITANIC SINKING. The Titanic Sinking at Sea. 2000 MNH TAJIKISTAN. SOUVENIR SHEET. This sheet features Russian Local. This sheet features The Titanic. Hitting an Iceberg. 1999 MNH TAJIKISTAN. SOUVENIR SHEET. Fun Stuff at We are real easy to work with. 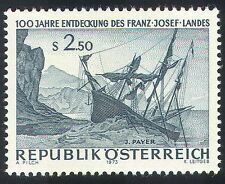 Country: Marshall Islands, Year of Issue: 1999, Type: 10 Stamp Block, Topic: Canoes, Pacific, Sailing, Maori, War, Fishing, Voyaging, Traveling, Catalog #: Scott 698a. (Sheetlet with 1 value (1v M/S): 2500 Ariary. 3) Select each item and 'Add to Basket'. 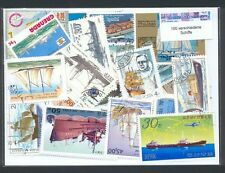 (Palau 2012 Titanic - 100 Years - Mint Never Hinged (MNH). ==================================================. 3) Select each item and 'Add to Basket'. Poland 420-422,MNH.Michel 490-492. Polish Merchant Marine,1948.Ships,Yacht.